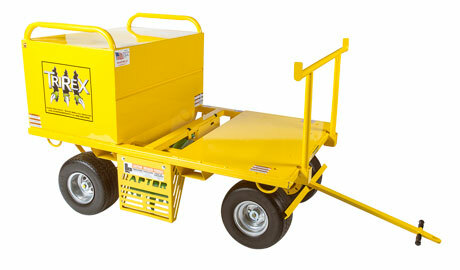 APPLICATIONS: The LES TriRex Mobile Fall Protection cart is used as a 3 person fall-arest and 2 person restaint system. Enables compliance with OSHA 1926.502. The LES Trirex is used where worker mobility and fall protection are required. The LES TriRex is used as a part of a complete mobile fall protection system which include a full body harness, lifeline, self-retracting lifelines and lanyards (not included). The TriRex allows two workers to be tied off at the same time while using the cart for Fall Restraint or for Fall Arrest.